Change your shop's view of complex jobs. 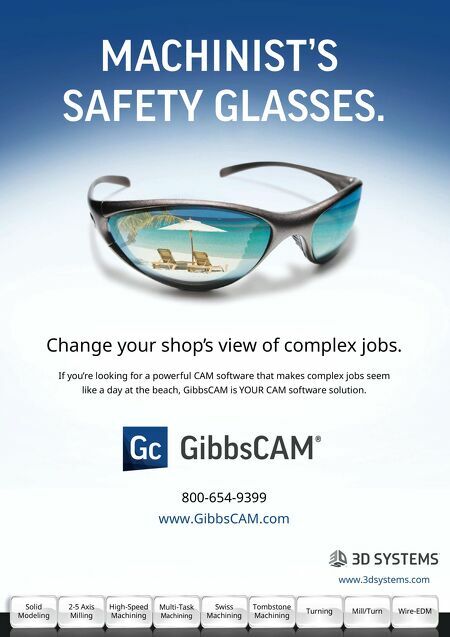 If you're looking for a powerful CAM software that makes complex jobs seem like a day at the beach, GibbsCAM is YOUR CAM software solution. 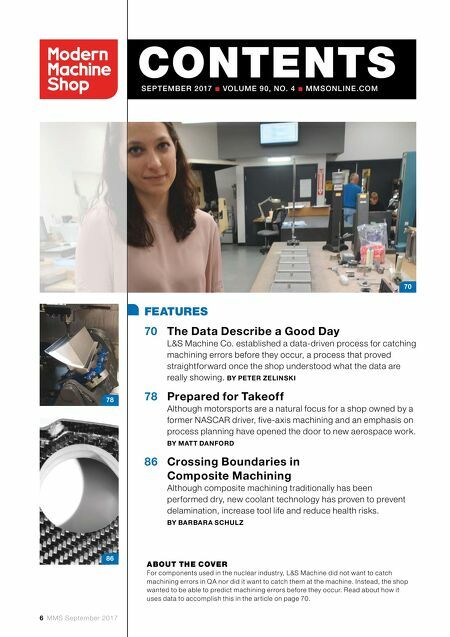 800-654-9399 www.GibbsCAM.com Solid Modeling 2-5 Axis Milling High-Speed Machining Multi-Task Machining Swiss Machining Tombstone Machining Turning Mill/Turn Wire-EDM GibbsCAM ® Gc www.3dsystems.com MACHINIST'S SAFETY GLASSES.